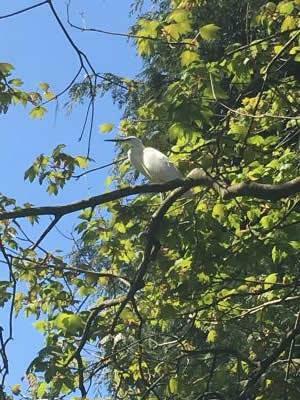 Bird Id - Forum - Identifying Birds - Pure White. Long Legs And Beak. Sitting In Trees Along A River. Forum > Identifying Birds > Pure White. Long Legs And Beak. Sitting In Trees Along A River. Pure white. Long legs and beak. sitting in trees along a river.